Welcome to our quiet, thirty room hotel on Negril's famous seven mile long white sand beach. We are located on the most exclusive part of Negril beach, next door to superclubs Sandals and Swept Away, but at affordable prices! Come visit Negril and enjoy the most relaxing vacation ever! 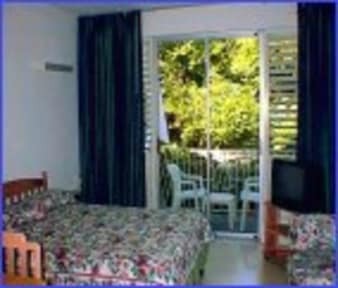 At Foote Prints you will enjoy excellent service, air conditioned rooms and numerous comforts at affordable rates. Travel with your entire family and enjoy invigorating water sports nearby or on property. Tantalise your taste buds on local or international cuisine at our 'Robinson Crusoe's Restaurant' and enjoy exotic tropical drinks at Man Friday's Beach Bar as you watch the most exquisite sunset over on the famous Negril Beach. Come! We are waiting for you to place your 'Foote-Prints' on the Sands.